Every time you train on the SM you can choose to hear a clear voice feedback during your work out–its like having your personal trainer with you every step of the way. Its great for instruction, motivational training commands and overall VersaClimber training tips. Also choose a variety of virtual opponents to challenge or select famous towers, structures and mountains. 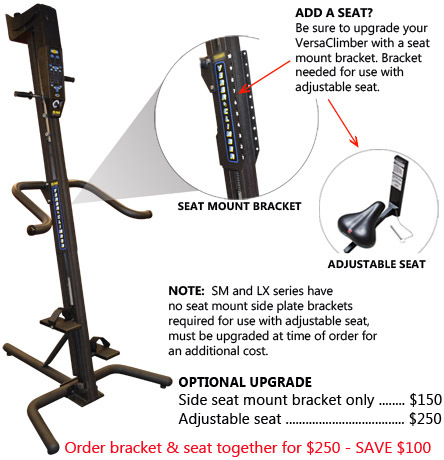 Click HERE to see VersaClimber Comparison Chart. 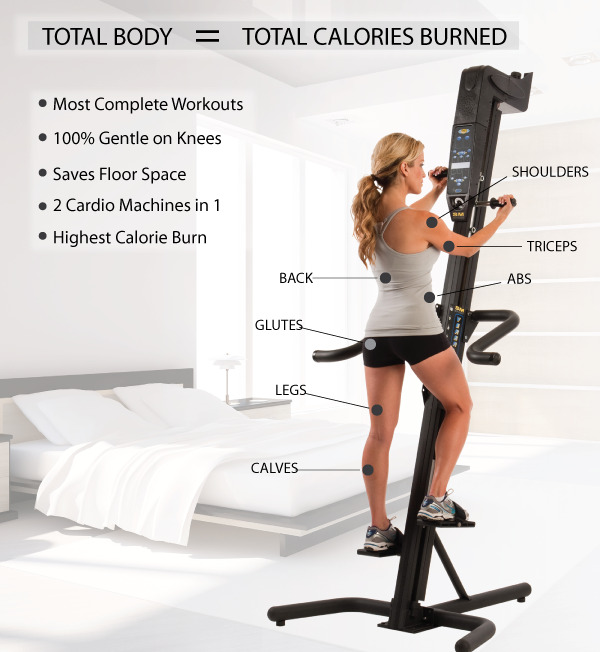 The SM (sport model) VersaClimber is simply two cardio machines in one: lower body stepper & upper body climber–one price for two cardio machines in one. It was uniquely designed to provide a true total body, non impact, cardio work out for a superior fat and calorie burning exercise. The SM features the classic, calorie guzzling, versatile 1-20 inch step height combined with the 1-20 inch upper body arm movement. The SM offers a wider range of cardio & strength versatility. From its ability to apply long muscle toning leg strides to explosive sprint training movements, and every type of cardio training in between to meet your specific training requirements. 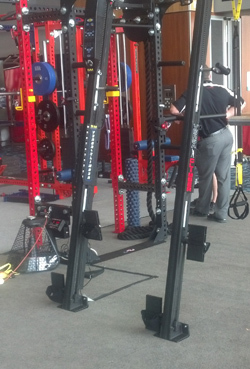 The SM has been refined and improved for a new generation of health & fitness enthusiasts. Like the interactive module w/voice feedback, sleek curves and a space efficient base. If you want to add adjustable seat, be sure to “upgrade” the LX with seat mount side plates at time of order, for an additional $150. Seat mount side plate brackets are required for use with optional adjustable seat. The adjustable seat is $250. Order both options, seat mount side plates and adjustable seat for $250 and SAVE $100.